Apple picking is a great way to get outside in the cooler weather with the family! The kids are heading back to school, there is a chill in the night air, and the leaves are starting to change: It’s September on Long Island, and though the word may bring a degree of dread to children and parents alike, there are still many fun things going on across Long Island after school, on the weekends, and on holidays. While you prepare to send the kids back to school or send the older ones off to college, check some things off of your Summer bucket list and enjoy Labor Day weekend together at the beach or go camping not too far from home. You may also want to start a new tradition of going to fairs and festivals like the Westbury Market Fair or the annual Shinnecock Powwow. September also signals some big attractions that come with Autumn, including apple picking, Fall fairs, car shows, charity runs/5Ks, and plenty of farmers markets full of the start of Fall’s bounty. 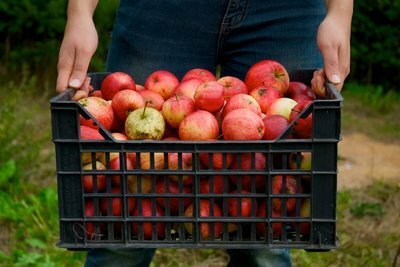 Apple picking season is a big draw for both locals and tourists, and soon the East End will be filled with bushels of tasty apples for sale at the roadside farm stands to eat fresh or bake into a delectable pie or cobbler. Start your September off prepared and mark your calendars with these exciting events! Labor Day is all about rewarding hard-working Americans with a three day weekend, and it is a great way to take in the tail end of Summer. Labor Day Weekend, which starts on September 5th and ends on September 7th, is packed with fairs, festivals, live music, car shows, canoe trips, nature walks, and farmers markets. Make the most of your weekend with a comprehensive guide to all of the fun and exciting Labor Day Weekend events on Long Island and check out our 2015 Labor Day Weekend Guide. This September’s festivals offer something for everyone through a variety of themes like dragon boats, maritime history, yoga, stand-up comedy, and your traditional fairs with rides and fried food! Get ready to shop – the Westbury Market Fair features over 150 vendors, and also offers food trucks and rides and games for the whole family! 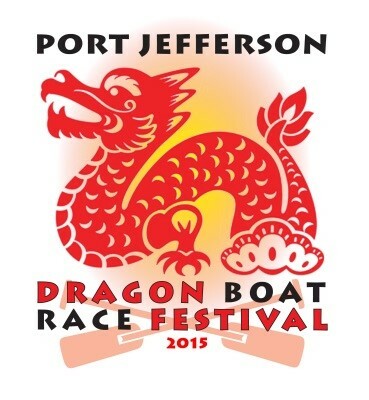 Port Jefferson Dragon Boat Race Festival in Port Jeff Village – FREE! Bring a lawn chair or blanket and settle down to see local and regional teams come together to race each other in a series of heats in the Port Jeff Harbor. Food vendors will be available throughout the day. Greenport Maritime Festival at Greenport Village - FREE! Support the restoration of the Long Beach Bar “BUG” Lighthouse and other educational programs by taking part in maritime events such as the Land and Sea Greenport Gala (tickets are $75 in advance, $100 at the door), featuring cuisine from 25 East End restaurants, 6 wineries, and a craft beer sponsor, as well as locally designed memorabilia and other unique shopping experiences. 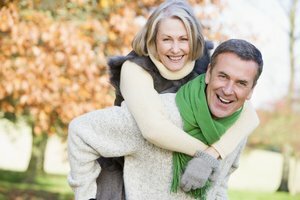 Celebrate life on Long Island for adults over 50 with free consultations regarding your skin, feet, body, sleep apnea, finances, and adult orthodontia. Classes will also be offered regarding behavioral investing, social security benefits, health, and travel to fabulous places. There will also be two comedy shows, yoga, and a wide variety of vendors. Those who bring a nonperishable item to donate to the INN will be entered into a raffle to win a prize. Aziz Ansari and local girl Amy Schumer will headline this comedy festival, which will also include performances by such stars as Anthony Jeselnik, Dave Attell, Nick Kroll, Jay Pharaoh, Jim Norton, John Mulaney, Michael Che, Nikki Glaser, Rachel Feinstein, and Todd Barry. Faith, Food, & Fellowship Festival at Holy Trinity Orthodox Church – FREE! This annual festival features the Greek and Slavic café, live Slavic music, as well as bouncy castles and kids’ games. There will be a Chinese auction, flea market, vendors, and a 50/50 raffle. A flyer for a coupon for $1 off a food ticket is available via email. Westhampton Festival of the Arts at St. Mark’s Church– FREE! Spend your Labor Day weekend on the Great Lawn across from St. Mark’s Church and shop the talents of local artists and artisans, including jewelry, paintings, sculptures, photographs, mixed-media, and creations in glass, ceramic, metal and wood. The Shinnecock Powwow is always a special event for children and adults alike, and is held rain or shine for all of Labor Day Weekend. Come be a part of tribal dances, crafts, storytelling, and enjoy native foods, dance and drum competitions, and a fire lighting each day at sunset. Seaford Festival at the Seaford Long Island Railroad Station – FREE! Enjoy a traditional street fair with arts and crafts for sale, as well as antiques and other goodies, and lots of delicious food! Held rain or shine. Join the largest and oldest feast on Long Island, with rides, games, and entertainment in addition to lots and lots of great Italian food! East Northport Festival at John Walsh Park – FREE! Hop aboard thrill rides and kiddy rides, throw your hat in the ring for a raffle, and enjoy other games and an incredible international and festival food court! Bayville Waterside Festival at Ransom Beach – FREE! Pick up something for that special someone at this gift and craft fair, then take in the live music, enjoy the inflatables, and grab a snack at the food court. Long Beach Boardwalk and Street Fair – FREE! Take the kids for lots of exciting rides and games, then go shopping for something special for yourself! At this first-ever yoga fest, yoga classes are available for children and adults, as well as cooking classes for kids, art classes for kids and adults, live music, and healing seminars. Copiague’s 8th Annual Family Festival at Tanner Park – FREE! Get your thrills at these exciting rides, check out the pet expo and dog performance arena, and take the kids to the petting zoo and pony rides! 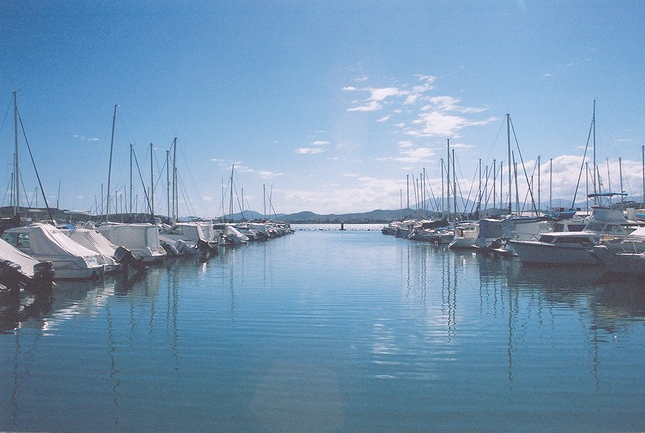 There will also be a variety of vendors as part of the Ocean View Craft and Gift Show. At Long Island’s only garlic festival you can check out a variety of vendors offering garlic-inspired foods, crafts, and music, as well as regular garlic to eat and plant. Chamber of Commerce Williston Day Street Fair at Williston Park – FREE! Celebrate Williston Day by perusing the over 200 local and outside vendors, and enjoying a live DJ, hula hoop contest, classic cars, karate demonstration, kids’ rides, pony rides, and lots of giveaways. Food will be provided by Williston’s local restaurants. Raindate is Sunday, September 27. Film buffs can revel in the action-packed lineup of independent and studio films from around the globe, with over 50 movies being shown. Craft beer, wine, and food will also be available for purchase. Valley Stream Community Festival – FREE! This festival celebrates the diversity of Valley Stream through culture, visual and performing arts, food, business culture, service organizations, and craft and general merchandise. There will also be a classic car show, a dunk tank, bowling lane, and kids’ arts and crafts. Get ready for all things German – German food, German beer, and of course German music. Net proceeds support the church missions. Merrick Fall Festival at Broadcast Plaza – FREE! A huge variety of local small business vendors will be available at the Merrick Fall Fest, so come by and support the community! Collectors and fanatics, start your engines! As the nights cool down, these car shows are just heating up, and are great sources of family fun! Check out a vast array of custom and collectible show cars, both vintage and exotic. With the price of general admission you can display your car for show or for sale, and enter to win a trophy for best in show! Sip a glass of local wine and check out a variety of beautiful BMWs. 3rd Annual Poppie’s Pro‘formance Car Show in Middle Island – FREE! Celebrate the memory of the late Gregory “Poppie” Jackson with food, music, raffles, a Chinese auction, kids activities, and of course, lots of cars. There will be hot rods, classic cars, muscle cars, pro street cars, classic imports, late models, trucks, motorcycles, 4x4s, and more. This massive car show will have a judged car event with 40 classes – all makes and models welcome! Spectators can also enjoy live music, raffles, and refreshments. Rain date September 27. Sagamore Hill Classic Car Show at Sagamore Hill National Historic Site – FREE! Step back in time and come see cars and trucks from before 1949 at this classy classic event. Help fundraise for Moose Charities by attending a classic car show conveniently located at the Tanger Outlets. Cars admitted into the show will be considered for judging, with numerous trophies available. Refreshments available in the Office Max parking lot. Rain date is September 20. Take a peek at some incredible cars presented by the Jaguar Drivers Club of Long Island and the MG Car Club of Long Island. Rain date is September 21. 350 trucks will be competing for over 50 trophies this year. Check out Kenworth, Peterbilt, Freightliner, pickups, antique trucks, and Jeeps from all over LI. Bring the kids so they can enjoy the obstacle courses, magic shows, face painting, balloons, and free giveaways. Bring canned goods to donate to Long Island Cares, and bring items for our troops that can be donated to Blue Star Moms. Seaside Spectacular Classic Car Show at Lido Beach Town Park - FREE! Bring your own classic car or admire the vintage vehicles from years past. There will also be a special Viva Italian exhibit featuring NY Alfa Romeo Owners Club. Snacks and beverages will be available for purchase. Rain date is September 20. Keep up your summer beach body by running in races, or challenging yourself to a bike tour, all while helping out local charities! Support great local causes through exercise at these Fall 5ks and races. Join the Long Island Crisis Center in a walk to raise awareness of suicide prevention. Take in the scenic views of the Hamptons while supporting MS. There are 25-100 mile route options, and each cyclist must raise $150 minimum to partake in the ride. Join in for a 5 mile race down Riverside Boulevard. All ages are welcome. Support the Children’s Brain Tumor Foundation at this 3 mile walk, which will raise awareness and funds to help provide programs and research for the pediatric brain tumor community. Contribute to St. Jude and help raise awareness of how the world understands, treats, and defeats childhood cancer and other life-threatening diseases. Run, walk, or volunteer to help raise awareness about ovarian cancer, celebrate ovarian cancer survivors, and remember those who lost their lives to ovarian cancer. Cyclists and walkers can take anywhere between a 10-mile to a 63-mile ride. Start your day off with a light breakfast of bagels and fruit at 7:30 AM, then treat yourself to a hotdog or hamburger for $5 after noon. The end of the Summer and start of Fall brings a fantastic bounty, including cucumbers, tomatoes, peppers, and lots of sweet corn, all of which you can find at the following farmers markets! Shiloh Community Farmers Market in Wyandanch – FREE! Get a taste of fresh produce from Long Island growers while also helping the community by empowering Youth Workers who assist at the market. Roosevelt Community Farmers Market at the Roosevelt/Freeport Family Center – FREE! Support local growers and artisans at the Roosevelt Community Farmers Market, while also eating healthier! New Cassel Farmers Market at First Baptist Cathedral of Westbury – FREE! Enjoy fresh produce and other great local goods for sale at this community farmers market. Greater Bellport Community Youth Market at the Boys and Girls Club of Bellport – FREE! Support the Boys and Girls Club of the Bellport Area to give kids a place to go after school and during school breaks, all by buying local affordable produce. Freeport Farmers Market Southeast at the Freeport Recreation Center – FREE! Dive in to healthy eating at this local farmers market, where you can find plenty of fresh fruits and seasonal veggies. Islip Farmers Market at the Islip Town Hall – FREE! Wake up early for this morning farmers market, where you can find fresh produce, pickles, jams, jellies, raviolis, pastas, spices, wines, goat cheese, dairy products, dog treats, and more! Greenport Farmers Market – FREE! Shop the flavors of the North Fork, including fresh produce, beets, artichokes, eggplant, pumpkins, chicory, mushrooms, eggs, chicken, baked goods, wine, and more. Babylon Village Farmers Market at the LIRR Parking Lot – FREE! Stop by this local train station to pick up the necessities like eggs and milk, and also try the honey, coffee, and artisan breads. Garden City Farmers Market behind the Supreme Court Building – FREE! Indulge in olive oils, produce, freshly made crepes, fresh roasted coffee beans, pasta, sauces, honey, flowers, green tea, and lots of other goodies. Whether you’re 2 or 82, apple picking is a fun, refreshing pastime that helps you get into a Fall mindset and also inspires a variety of delicious dishes! Just because the Summer is over doesn’t mean fishing is over, but in many areas, the fishing season ends at the end of September. Take a look at our local fishing regulations, and take advantage of the last month of fishing of brook, brown, and rainbow trout in many locations. There’s no need to travel far to see the leaves change color - there are plenty of deciduous forests all around the Island. To get the most out of your foliage trip, try camping in the Fall under trees of vibrant oranges and reds, or go cycling down a bike path right in the heart of the forest. No one likes to wait on lines, and chances are if you went to an amusement park this Summer, you did plenty of waiting. Now that school is back in session, many local amusement parks are still open and are far less busy than during the Summer. Hit Splish Splash while it’s still warm, and test your skills on the ropes courses at the new Adventure Park. Subject: LongIsland.com - Your Name sent you Article details of "LongIsland.com’s 2015 September Family Fun Guide: Apple Picking, Town Fairs, 5Ks, and More Ways to Keep Active in Autumn!"